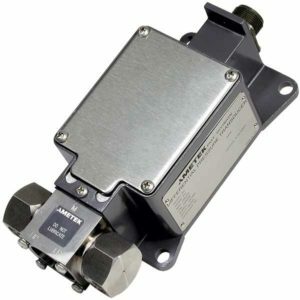 The Model 89 Differential Pressure Transducer has been specially designed to meet the needs of military and/or marine applications and conforms to military specification MIL-D-24304B(SH). The Model 89 DP accurately measures pressures and transmits a fully adjustable 4-20 mA output signal for remote display, recording or control. 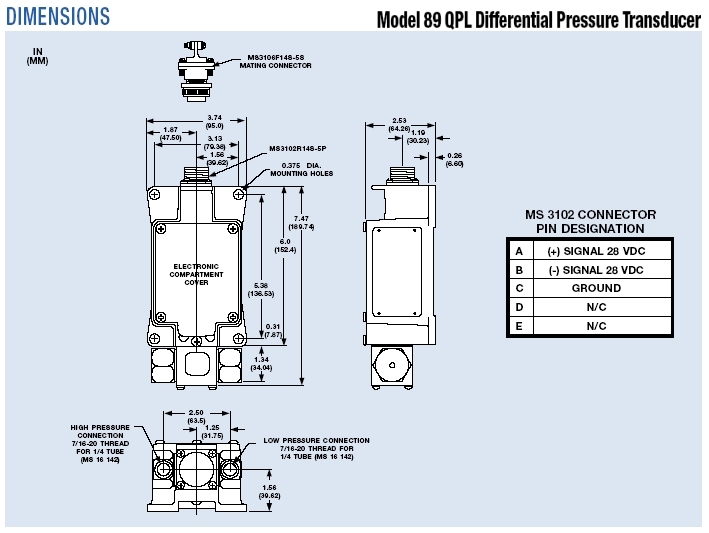 The Model 89 DP is available in differential pressure ranges from 300 inch wtr to 400 psi. POWER SUPPLY: 28 VDC with reverse polarity protection. ZERO/SPAN ADJUSTMENTS: 8% full scale output. Mounting interchangeable with existing instrument mounts. Pressure connections conform to MS16142. 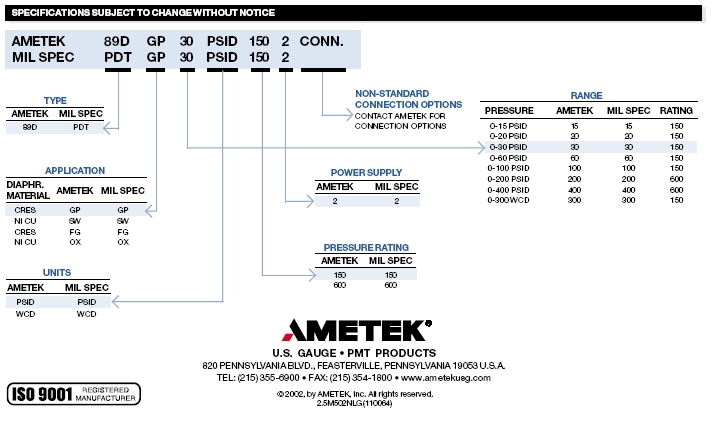 DIRECT REPLACEABILITY: The Model 89 transducer is directly interchangeable with existing pressure transducers designed to MIL-D-24304B.